Home>News of Medical Accessories > Blister Packaging: Why it’s important. Blister Packaging: Why it’s important. The global packaging market is expected to increase at 2.9% every year, and reach $920 billion in 2022. Packaging in the pharmaceutical industry is becoming more and more important as a means of protecting and promoting products. Blister packaging has become one of the most common ways of packaging pharmaceutical products, in many cases being more advantageous than packaging in bottles. The basic configuration of a blister package is a protective lid, often made from Aluminum PVC or PVDC foil, and a plastic blister, heat-sealed to the lid with the product in between. The benefits of such a configuration for pharmaceutical packaging are many. 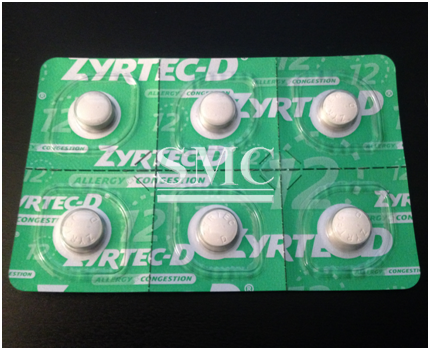 It is cost effective when compared to other forms of packaging, it offers increased protection by individually sealing every pill, it provides plenty of room for advertising since information can be printed on the lid, it increases purchases because customers can see the product, it deters theft because one cannot touch the product without damaging the packaging, and it allows retailers and consumers to immediately identify whether or not a product has been tampered with. The most important component in blister packaging is the forming film that protects the product from moisture, oxygen, and other gases. PVC is by far the most common forming film because of its good chemical resistance, low permeability, easy tintability, and low cost. It has a low WVTR of 1.1. PVC sheets are often laminated with PVDC (Polyvinylidene Chloride), offering increased resistance to foreign substances. PVDC has a WVTR score of 0.17, making it suitable for packing items with a medium to high sensibility to moisture. The lidding used in packaging must guarantee a WVTR that is at least as low as that of the forming film, and must be compatible with heat-sealing. The lid must also be compatible with the intended method of opening the package (push-through or peel-off). The most common lidding material is aluminum foil. At SMC, we strive to be at the forefront of the pharmaceutical packaging industry. We offer various PVC/PVDC sheets and aluminum foils for use in pharmaceutical products, each in line with national regulations. Products are customized in accordance with the individual customer’s requirements. All of our products are carefully labeled with the product ID and quality information. For more information including product specifications and price, please click here.